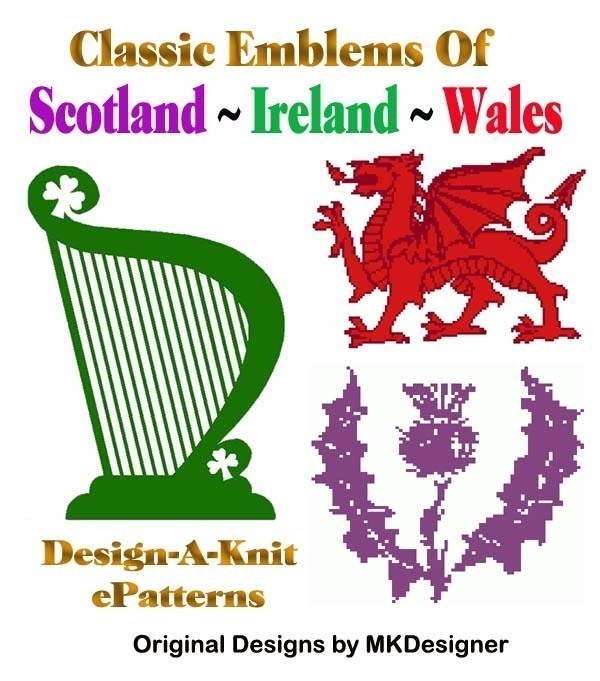 These were a real treat for me to design, since my father was born and raised in Edinburgh, Scotland, my mother's family came from County Armagh in northern Ireland and there's Welsh folks also in my heritage. So this pattern set is in honor of them. Available in DAK (requires the Design-A-Knit software) or as GRAPHS (no written instructions) for those who wish to manually input the designs into their electronic machines, or even knit them by hand.